Alexis Rhodes – Regarded as the “queen” of her resident Obelisk Blue dormitory, Alexis is the principal female protagonist of the series. A motivating factor of her strong-willed outlook during the first season is the search for her missing brother. In the timeline of the Yu-Gi-Oh! 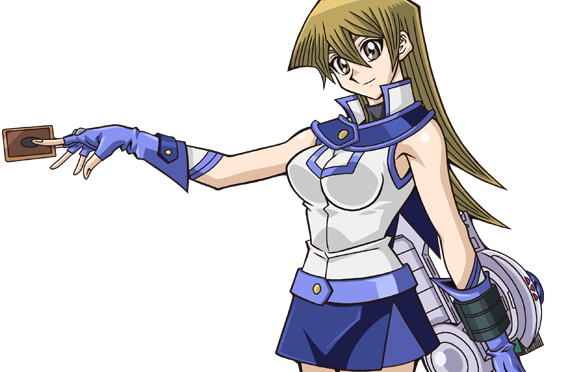 GX anime, Alexis, residing in the Obelisk Blue dormitory along with Zane Truesdale and initially Chazz Princeton, is one of the top students at Duel Academy. She does not follow the crowd nor does she regard herself as better than other people like some students in the dormitory, but has a stern pride as an Obelisk Blue duelist. Alexis mourns for her long-lost older brother, Atticus Rhodes. With the help of Zane, she constantly searches for clues surrounding his disappearance, until it is revealed that he joined the Shadow Riders, under the control of Nightshroud. Defeated by Jaden Yuki in a Shadow Duel and relieved of this persona, the incident leaves Atticus amnesic, prompting his sister to engage in a Duel with Titan to restore his memories. Later in the series, Chazz comes out about his infatuation with Alexis after Jaden defeats the final Shadow Rider. Atticus helps Chazz with his crush and he steals all seven Spirit Keys needed to revive the Sacred Beasts in order to force Alexis to duel with him. 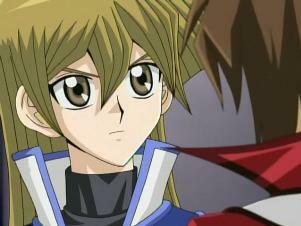 Although Chazz plays suggestive cards such as Hidden Wish and Love Letter to show her how much he cares, Alexis wins in the end, stating that she cannot return his feelings, because she “loves dueling”. Chazz’s crush on Alexis continues throughout the series, although after having his free will sapped by Sartorius, his interests fade, until he is rescued by Jaden and returned to his former self. At the start of the second year, Alexis moves into a spare room in the Slifer Red dormitory to escape Vellian Crowler, who was pestering her to begin a career as a duelist that sings pop songs during duels. Following Chazz’s entrance into the Society of Light, Alexis duels with him to keep him from taking over Obelisk Blue completely. She fails, however, and meets the same fate as her fellow elites. Sartorius would subsequently strip Alexis of her free will completely, rendering her cold and heartless. Providing her with a new White Night deck, he orders her to retrieve the key to the mind control satellite of Misgarth, which his good personality entrusted to Jaden, but was freed from his influence upon being defeated. During third year, when the Academy had been transported to another dimension, she protects the school with other students from monsters while Jaden Yuki and Jesse Anderson go to the Gecko submarine to get medicine for Blair Flannigan. Later, she joins Jaden to search for Jesse in the second alternate universe, but she and several other of Jaden’s friends are captured by Brron, the King of the alternate universe, and are all sacrificed and sent to the stars in an attempt to create the Super Polymerization Spell card, or so Jaden thinks, as they turn out to be alive, but trapped in another dimension. After Jaden’s duel against Yubel, Alexis and everyone else return alive to Duel Academy. By the start of the fourth season, Alexis has moved back to the blue dorm and is in her final year at the academy, considering staying at Duel Academy as a researcher, or going to a Duel College in North America to continue her studies. She also pairs up with Jaden, whom she is very concerned about due to his recent change of attitude, for a series of tag-team duels and is distressed when he refuses to act like a partner and duels without her assistance. Upon finally working together with Jaden, the two win the final duel as a team. Later that night, Alexis speaks with Jaden and feels relieved and very happy when she sees that he is apparently acting like himself again, and simply says “I’m really glad I got to meet you”. When the Trueman copies invade Duel Academy, Alexis and the other students try to fight them off. She, and many other students, fail and are absorbed into darkness. However, Jaden mentally sets them all free before he’s able to destroy Nightshroud. Alexis plays a Cyber Girl deck composed of cards based on dancing and sports. Her tactics are well-balanced due to the variety of different effects her monsters possess, ranging from early and devastating direct attacks to negation of opposing card abilities. She is also skilled at concentrating on a single tactic while dueling, devoting all her cards to the summoning and strengthening of her fused warrior Cyber Blader, or her Cyber Angel Ritual series (based on the Seven Lucky Gods of Japanese mythology). As a member of the Society of Light, Alexis plays a White Night Deck, creating a physical cold in the dueling ring which prevents her opponent from using Spell and Trap Cards using monsters like White Night Dragon and White Night Queen. In the manga, Alexis plays an Ice deck, which relies on distributing “Ice Counters” among her opponent’s monsters to immobilize and destroy them.